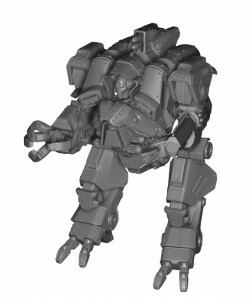 Thon is taking orders for those of you that would like their Havok mech in resin. The Havok is now available in Resin. This awesome, 80mm tall 20-part kit is the backbone to Ordhren Armored Assaults. The Reson Havok will begin shipping on 9/1!